For over 25 years, ServiceMaster of Edmonton has been providing corporate carpet cleaning, floor care and upholstery cleaning. 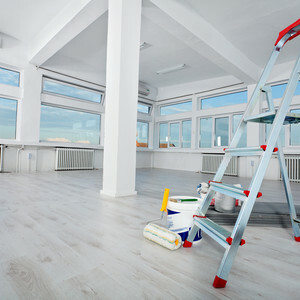 As leaders in commercial specialty carpet and upholstery cleaning, you can be confident that your carpets are being looked after by the experts. We have been honoured with ServiceMaster Clean awards that include two President Achievement Awards, Award of Excellence, four Expert Awards and numerous Achiever Awards leading to one of the top three franchises in North America. Most recently we were award The President's Cabinet which names us as one of the Top 3 Franchises in North American for Commercial Specialty Cleaning. We have served a wide range of industries in the Edmonton and Greater area including commercial, oilfield, healthcare, technology, seniors homes, education, recreation and exercise facilities, theaters, retail, hotels and restaurants. Our diverse workforce allows us to service locations from 1,000 square feet to a 100,000 on a nightly basis. Our dedicated team of technicians are all ServiceMaster trained and and have no less than two years of experience. Our technicians undergo regular training for new and updated cleaning processes. Our quality assurance proccedures ensure above average results for each customer experience. We are committed to using our ServiceMaster Clean Products designed specifically for us so we can truly say we are ServiceMaster Clean. We carry a wide variety of products for many different situations. In todays world, environmental products are extremely important in reducing allergens and improving air quality. The ServiceMaster Clean Green For product line are all Envirodesic, CRI, Environment Choice and Green Seal approved. As a customer of ServiceMaster of Edmonton, you can come to expect routine notification and follow ups, on demand spot cleaning (free of charge for our monthly customers), cleaning services delivered as requested, and a trusted advisor when required. Our extraordinary customer service compliments our expertise in carpet and upholstery cleaning. Our prices are fair and your 100% satisfaction is our goal. To find out how we can help your busines and for a free quote and spot removal please call 780-417-9123 or send as an email and we will contact you at your convenience.